SINGAPORE, 4 NOVEMBER 2010 – Singapore will host its best rugby 7s tournament yet this weekend, with the Padang set to pulsate as more than 50 teams battle for men’s, women’s and children’s titles. The draw for the 63rd Singapore Cricket Club International Rugby 7s has been completed, with the Ablitt Cup holders South African Vipers drawn alongside Impala, Sri Lanka and East Arnhem Rugby (Gove) in Pool F as they seek to secure their fourth straight victory in Singapore. The home club will tackle Horowhenua-Kapiti, COBRA and the Southern Lions in Pool C on Friday and Saturday, while the national Singapore women’s team will face off against Malaysia and Indonesia, in the opening rounds of the first ever SCC Women’s International 7s competition. Also for the first time ever, the National School and Colleges Rugby 7s championship will be contested at the SCC 7s, as part of the extensive youth development programme. In the past two days, more than 500 children have received professional coaching from competing teams, including the HSBC Penguins. 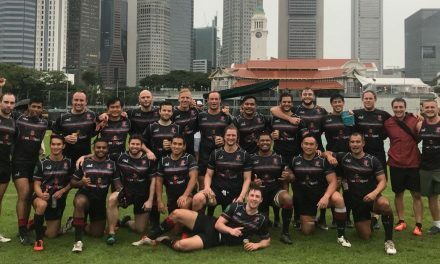 The seeded draw for the SCC 7s sees the tournament favourites separated for the first two days, though Ponsonby and the NS Wanderers have been drawn alongside each other in Pool B, along with the Casuarina Cougars and the Singapore Barbarians. The draw threw up another mouthwatering clash in the pool stages, with the HSBC Penguins and the Borneo Eagles set to face each other, as well as Cottesloe and Almaty in Pool A. Japan Samurais will be expected to progress as winners of Pool D, where they will face Sunnybank, NT Mosquitoes and Tamariva though one of the pre-tournament favourites, Davetalevu, will have to negotiate the potentially tricky Hong Kong Dragons, Palmyra and the British Army – Flying Kukris , in Pool E. For the first time ever, the opening round of pool games will be played on a Friday night, under floodlights. The pools will be completed on Saturday, with the knock-out phases and finals staged on Sunday. The Singapore women’s national team will take part in the inaugural SCC Women’s International 7s as part of the final preparations for their first performance at the Asian Games. The draw for the six-team tournament pits Singapore against Indonesia and Malaysia, while pre-tournament favourites Japan will play India and Hong Kong. The women’s pool matches will take place on Friday, with the semi-finals and final taking place on Saturday. For the first time ever, the SCC 7s will play host to the National Schools and Colleges Rugby 7s Championship. There will be 18 schools competing across the U-16 and U-19 competitions, with Anglo Chinese School (Independent), Singapore American School, United World College and Raffles Institute favourites to lift the titles. Minnows Pioneer Junior College, Pioneer Secondary School and Millennia Institute will hope to cause an upset on the biggest stage of schools rugby in Singapore. Games will be played on Friday and Saturday, with finals staged on Sunday 7 November. The Schools and Colleges competition is part of an expanded SCC 7s youth development programme which has seen more than 500 children take part in clinics run by professional coaches and players. The flagship HSBC coaching clinic gathered approximately 200 children at the SCC 7s Padang Stadium, providing local children with unique access to world-class coaching. Players and coaches who took part included HSBC Penguins representatives, New Zealand 7s star Nafi Tuitavake, Malaysia coach Dean Herewini, Scotland development officer Neil Graham and former USA 7s coach John McKittrick, and South Africa’s HSBC Sevens World Series coach, Paul Treu and the SA Vipers team. In addition to the HSBC clinic at the Padang, competing teams such as South Africa’s Vipers, Fiji’s Davetalevu, Kenya’s Impala and New Zealend’s Ponsonby and Horowhenau-Kapiti visited schools including Anglo Chinese Junior College, St. Andrew’s Junior College, St. Andrew’s Secondary School, Greenridge Secondary School, St. Joseph’s Institution and United World College, to deliver unique coaching clinics specially tailored for each school. The participating schools also received several official SCC 7s match balls and a number of free tickets for their pupils to attend the SCC 7s. 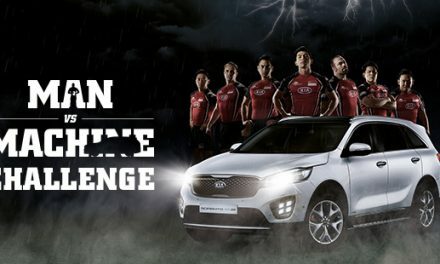 The 2010 SCC 7s will take place from Friday 5 to Sunday 7 November, at a purpose built festival arena at the Padang, capable of holding over 7,000 fans. Tickets are on sale at www.sccrugbysevens.com and are priced at $50 for three days for an adult and $25 for three days for under-18s. NextTHE FIRST DAY OF THE SCC7s STARTS OFF WITH A BANG!